The International Conference of Heads of Metrology Insitutes held in Sevres, France has decided that the measure of kilogram will no longer be pegged to cylinder. From 2019 onwards, it will be set by value of Planck constant in combination with definitions of meter and second. 27th October in India is observed every year as the Infantry Day to commemorate the supreme sacrifices made by the Indian Army against Pakistan in Jammu and Kashmir in 1947. The Ministry of Tourism has given Letters of Intent to seven shortlisted companies for adopting 14 monuments under Adopt a Heritage Scheme. 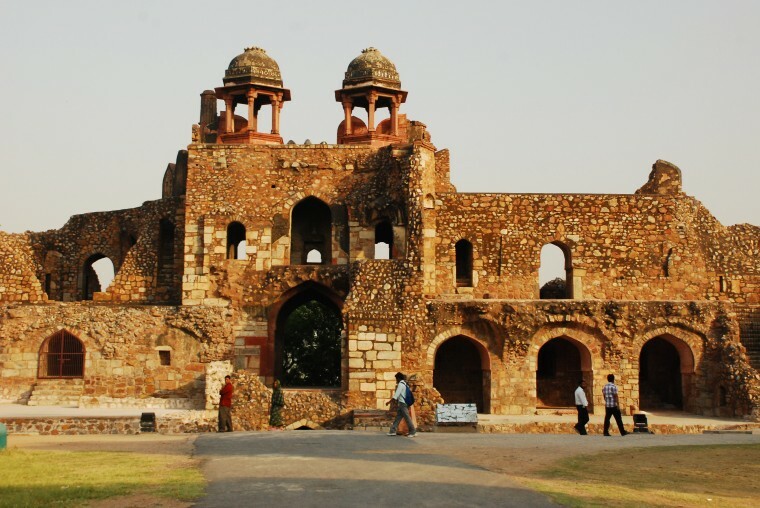 They include Jantar Mantar, Purana Qila, Safdarjung Tomb, Agrasen ki Baoli, Qutub Minar, Hampi, Ajanta Caves, Sun Temple, Raja Rani Temple, Ratnagiri Monuments, Leh Palace, Mt. StokKangri, Mattancherry Palace Museum, Gangotri Temple Area and Trail. The invited private or public sector companies and corporate individuals would be able to take up responsibility for taking care of these heritage sites and promoting sustainable tourism through conservation and development under their Corporate Social Responsibilities (CSR) activities. Rajasthan Assembly passed the Backward Classes (Reservation of Seats in Educational Institutions in State and of Appointment and Posts in Services under State) Bill, 2017. This will provide 5/5 reservation to Gujjars and four other nomadic communities namely Banjara, Gadia-Lohar, Raika and Gadariya in state government jobs and educational institutions under the Other Backward Classes category. The Broad Institute and Massachusetts Institute of Technology in the USA have developed RNA Editing for Programmable A to I Replacement (REPAIR), a new gene editing tool therapies that can reverse disease-causing mutations in humans. REPAIR can tweak an individual RNA letters in human cells without making changes to the entire genome and can have profound potential as a tool for both research and disease treatment. The First International Consumer Protection Conference on empowering consumers in new markets for South, South East and East Asian countries was held in New Delhi. The theme was “Empowering Consumers in New Markets”. Prime Minister Narendra Modi announced that the new consumer protection law will crack down on misleading advertisements and simplify the grievance redressal mechanism. Indian Railway’s first set of solar plants with total capacity of 5 megawatt peak was launched on the roof tops of Hazrat Nizamuddin, New Delhi, Anand Vihar and Delhi railway stations. This project was launched as a part of the National Solar Mission in which the Indian Railways plans to commission 1000 MWp solar plants across its network. Please, provide the briefs till 1st november right away. It’ll be very nice of u. And thank u again for ur briefs nd support. First…u guys don’t need to apologize. And it’s ok….we understand ur problem. Nd dear zainab khan sir/ma’am u have such a great personality.